MyPaint is a fast and easy graphics application for digital painters, utilizing a brush system that's versatile and configurable. You work on your canvas with minimum distractions, bringing up the interface only when you need it. Supports graphics tablets made by Wacom and similar devices. Cross-platform with clients available for Mac/Linux. 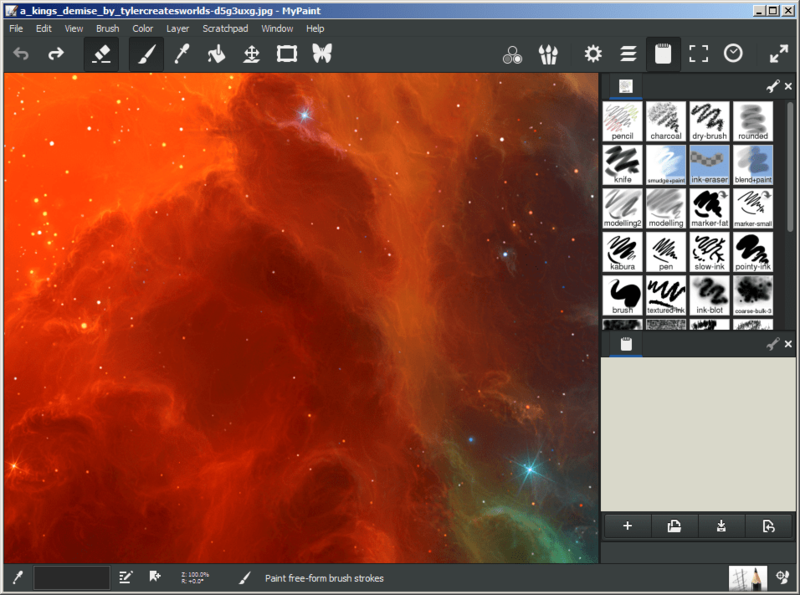 MyPaint Portable is a wrapper program for MyPaint. Alternatively, X-MyPaint is also available and can be updated to the latest version via this process (thanks shnbwmn). How to extract: Download the ZIP package and extract to a folder of your choice. Launch MyPaintPortable.exe. It's a real pity that the newer versions (aka 1.2.0 onwards) aren't portable, because the whole interface has been wonderfully overhauled and a whole slew of new features have been implemented. According to https://github.com/mypaint/mypaint/issues/91, the developers basically have no interest in making this portable. Update: please see the forum topic for details on getting the latest MyPaint (1.2.0) portabilised via the X-MyPaint launcher. Foreground Reference Utility allows the user to select an image and have it pinned to the foreground to be used as reference material. How to extract: Download the RAR package and extract to a folder of your choice. Launch ForeGroundReference.exe. Website down and cannot be reached via the Internet Archive because of robots.txt. 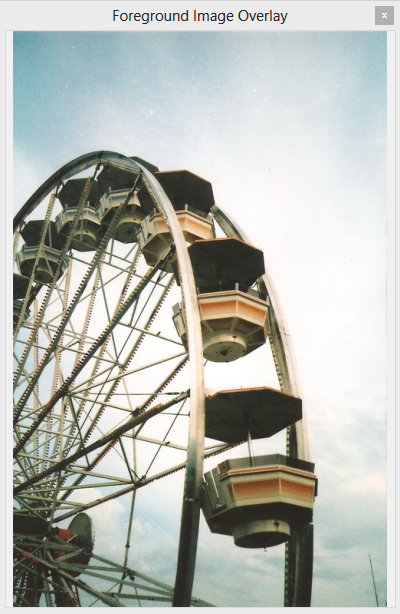 ImageMagick convert, edit, or compose bitmap images in a variety of formats. In addition, resize, rotate, shear, distort or transform images automagically. How to extract: Download the ZIP package and extract to a folder of your choice. Launch command prompt and run desired application.